Something so obscure as wanting to find these tiny lizards all across South Africa sounded like an impossible task. But I’m the kind of person that goes all into these types of challenges – Is it even achievable? I’ve always had this fascination with chameleons since I was a child, growing up in Durban chameleons were never in short supply growing up. You could often find the KwaZulu Dwarf Chameleon in the garden while playing outside or when the gardener was at work trimming up the garden. The Flapneck Chameleons were more a common sight when holidaying up north to the game reserves of Hluhluwe in Zululand or visiting the Drakensberg where you’d often see these large chameleons gapping it across the roads. It wasn’t until much later in life, in my late twenties did the fascination kick into high-gear and I began to read papers, gather contextual information on all these chameleons and realised how many of them there are and how many of these animals were poorly documented in text as well as google images (something I intended to change)! The first book specifically on chameleons I owned. Having access to a car, your own disposable income and time (after studying full time for 5 years) was I able to plan out focused trips to find, photograph and document these fascinating reptiles. It started off slowly with a few species ticked off when going on holiday or a quick drive 100-200kms away. One of the hardest things about the start of this adventure was the lack of information available on these chameleons. After hours upon hours of research online and extensive google searches, I was fortunate enough to make contact with some knowledgeable and patient people who shared their insights and practical field experience with chameleons across South Africa. Most valuable in the later stages was Lynn Raw who extensive expertise and field knowledge was invaluable – thanks, Lynn. Of course, there were many other in no particular order include: Dr Colin Tilbury, Dr Christopher Anderson, Marius Burger and Krystal Tolley their wealth of knowledge certainly helped fill the gaps between what the literature said and what actually happens out in the field when searching for these chameleons. People often ask me, why chameleons what is the appeal? It would have to be the fact they’re just totally different from any other of the reptiles we have here in Southern Africa, miniature dinosaurs that are just so variable and incredibly adapted to thrive in their own niche environments. Not to mention how some species are only found in tiny isolated pockets and 50kms away a totally different species exists. Adding to the fact that no one locally really pays much attention to these animals barring the commonly seen species like the Cape Dwarf Chameleons and the Flap Neck Chameleons. Flapneck Chameleon feeding on a grasshopper. From Bonamazi, Kwa-Zulu Natal. Often I get asked, but how do you find so many chameleons? People always say this to which I often say you should spend some more time outside. But in reality, people naturally spend less and less time outside as they age. Gardens now are more manicured and cultivated than they once were decreasing potential habitat for chameleons. Gardens can often cause great segmentation where chameleons naturally favour natural green corridors which allow them to move freely between areas where they can source adequate food or habitat. Domestic cats are also a huge problem as many chameleons are killed not necessarily eaten by cats. Whilst you can find chameleons actively during the day by examining bushes/shrubs with a fine-toothed comb it is extremely difficult and time-consuming exercise. To date, I’ve only found 4 species during the day actively searching, one of which was an early morning and mist covered day the chameleon was still fast sleep in its previous nights perch. When looking at night with the use of powerful torches/headlamps chameleons can quite easily be seen as they tend to migrate towards the ends of branches/leaves where they curl up and hang on until the sun rises. When you shine a light on a sleeping chameleon even from 100m (when you have your eye in) away in some cases you will notice the white/grey colour of the dwarf chameleons or the neon green colour of a sleeping Flap neck Chameleon. In many cases, I’ve picked up chameleons in the headlights of the car whilst driving past long grass. The main reason for doing so is to avoid predation, as when a predator moves the ends of the branches/leaves are the first to show movement and the started chameleon simply let’s go and falls into the foliage below thus avoiding becoming a potential meal. Essential gear when it comes to locating chameleons. Here are those chameleons I’ve found alphabeticalized as they appear formally. With a single image of each species which I feel best encapsulates the species along with a short extract of where the chameleon was found and a short narrative explaining how I found the animal. In some cases finding the chameleons was straight forward and others look countless hours of research, driving, planes and testing weather conditions just to tick them off of the list. From the Swartberg Pass, Western Cape. December 2014. Small chameleon not exceeding 12cm. While on a road trip through the Eastern and Western Cape with Gary Nicolau we met up with friends Rian Stander and Theo Busschau in Oudtshoorn. Theo has previously been on a trip to the pass with the university on an etymology survey. Upon returning one of the students had seen a small brown chameleon whilst looking for their study animals and though nothing of it a few months prior. After managing to track down a vague location where the student has seen the chameleon we set off from Oudtshoorn up the Swartberg pass in the early evening to try our luck at finding a species neither of us had ever seen. With headlamps and torches we started making our way into the dense fynbos is not easy as much of the dense restio grasses are taller and some of us. After 15/20 minutes we hadn’t seen a single chameleon and started to feel rather dispontent. From some distance someone shouted they’d gotten one! Success came quickly and we had found around 12 specimens in a small pocket. We photographed a few specimens before the rain came, collected a few to get some day time shots and came back the following morning to release them in the same area something which we are also extremely cautious with by not translocation the animals. From Eshowe, Kwazulu Natal. April 2013. A small to medium sized chameleon of not more than 12 cm. I had first seen this species in 2013 on a trip to the Dlinza Forest Boardwalk in Eshowe. I knew these animals occurred inside the reserve but trying to find one during the day in a dense forest on an aerial boardwalk seemed just about impossible. Arriving while it was still light I scouted around the reserve but to no avail this wasn’t going to be that easy. The reserve gates close at 6pm and by 17:45 it still wasn’t dark enough to look, regardless I grabbed my torch and hurried off along the boardwalk scanning the vines and horizontal branches for signs of life amazingly I spotted one around 2-3 metres off the boardwalk. I had to race to get a few basic shots of the animals before the reserve closed and I’d be locked in for the night. Not happy with the results it wasn’t until 2017 I returned again to eShowe with Theo Busschau, who was busy conducting field work in the area looking for Leptotyphlops I mentioned these chameleons and we found an adult and a juvenile within quick succession despite the wind/rain and unusually cool temperatures. These chameleons have an exquisite bright red intercoastal skin between the gulars making them one of the prettier chameleons in the lower Zululand area. From Port St Johns, Eastern Cape. June 2015. A medium sized chameleon averaging around 15cm. After spending some time just south fo Port St John’s I’d always wanted to find and photograph this chameleon but had never given it much time. The literature suggests these chameleons are a forest species in habitat trees, bushes and shrubs and within Port St John’s itself there is plenty of dense forest but on a solo trip I was not at all keen to venture into said dense coastal forests at night on my own of course. I had arrived in Port St John’s for the weekend unpacked my head and headed into the main town centre, when I say main town centre the roads are mostly dirt roads filled with potholes and a large number of cows walking around. I had previously been in touch with Dr Colin Tilbury who mentioned when he’d seen these chameleons years prior they were common on the hedgerows of the boundry walls of the houses. As I made a slow drive down one of these dirt roads between the houses I spotted a large chameleon about 1.3m off the ground on a hedge – too easy! I was ecstatic another hour or so I turned up 14 other specimens adults and juveniles. This would be another time when what the textbook says doesn’t always ring true to what you experience in the field chameleons are full of surprises! From George, Western Cape. January 2011. One of the larger forests chameleons averaging 18cm in length. I’d never been through to the Garden Route let along George before, good friend Samuel Phillips was starting his studies at Saasveld University in George so we did a road trip down through the Eastern and Western Cape. Sam had been down to George previously and had mentioned how common these chameleons were in the botanical gardens having seen some during the day. We set off in typical George weather cold, misty and raining perfect for chameleon searching! Within a few minutes spent along the fence line we had spotted a few individuals. But not being able to get great photos we returned to his digs, a quick search of the garden yielded 4 adults in the same large bottle brush tree so we could photograph a few specimens in relative cover. The following years returning to George with Rian Stander we would still find countless numbers of these chameleons in the Botanical Gardens always a good spot for them. They’re incredible variable and are one of the most exquisitely coloured chameleons in this part of the country. From Monks Cowl, Kwa-Zulu Natal. April 2013. Now this one one of the first overnight missions I had made on my own to find a particular chameleon. I had seen some recent records of findings in the Monks Cowl Nature reserve by some hikers who had stumbled upon a chameleon when hiking. A good sign at least I know they were there, but hiking up mountains in the night is less than ideal. I left Durban early one saturday morning and arrived at Monks Cowl where I would spend the night and hopefully find one of these chameleons. I had read they also favour the tall thatching grass that grows tall along the roadside, as darkness came around rather early in winter so did the cold! It was freezing having gloves whilst searching for them certainly proved to be a good idea. I had walked 200m odd without any luck when I stumbled on a bend of the road and right on a single stem was a large female (pictured below), there were three juveniles not too far away. I bagged these up to photograph and release in the morning as by now it must have been in the single digits when it come to temperature. From Robertson, Western Cape. August 2017. A medium to large robust chameleon averaging around 15cm. This species made me have a second look into it, in 2012 whilst in George we came across a chameleon which I’d thought to be Bradypodion gutturale but on further scrutiny it may be one of the many undescribed species or simply an eco-morph of Bradypodion gutturale? Needless to say if I was going to go through the process of finding and photographing all of the species I needed to be sure. I got in touch with friend Christopher Caine who is based in the small town of Robertson in the Western Cape (which is actually this chameleons alternative common name Robertson Dwarf Chameleon). We planned a few target species and I flew down to Cape Town to spend a couple of days with Chris and herp a few of the local spots he knew and see what we could find. On the very first night we met with Gerrie Heynes who joined us to look for these chameleons in a patch of sweethorn veld just outside of town. Within 30mins of searching the difficult habitat of sweet thorn I spotted a large adult male in the middle of the bush. I quickly extracted it and learnt the hard way that anything involving sweethorns should best be down slowly. We looked for a little longer and I found another adult and Chris turned up a slightly smaller female. Upon much closer inspection these animals were very different to the animal I saw on the Montague Pass years prior. These chameleons were typical of what I’ve known as gutturale with large dorsal crests and defined gular lobes and almost double the size. From Morgan Bay, Eastern Cape. April 2017. A small nondescript chameleon averaging around 10cm. There is an interesting backstory that lead to the discovery of this locality and species for me. While on Facebook someone from Morgan Bay posted a bad photograph asking to ID a small brown chameleon. To cut a long story short I got in touch with the person who posted the photo and they actually invited me down to Morgan Bay to stay with them to see if I could find more of these chameleons and confirm the ID. I made some plans over the Eastern Weekend and roped good friend and fellow herper Luke Kemp who was attending Rhodes University in Grahams Town at the time so a quick +-350km trip for him and a +-780km trip me for. We set out to spend Easter Weekend in Morgan Bay at the beautiful Yellowwood Forest Camp Grounds (which I can’t recommend enough well worth a visit they make great pizza too!) Sean was a fantastic host and was eager to share his knowledge of the area and learn from myself and Luke about the reptiles and amphibians in the area. We headed out to the nearby dam where someone had seen the chameleon on some reeds in the dam some months prior, we weren’t hopeful we’d see one and of course we didn’t. We returned once it had gotten dark and with torches in hand Luke and I quickly found a good population of these chameleons and after 3 nights we had seen in excess of 30 individuals at three locations all relatively close by. Another interesting observation and contrary from what I’d read and heard about these chameleons was they favoured forests with closed canopies and bushes. We found all of these animals exclusively in grasslands amongst the tall turpentine grasses. We were thrilled to tick these off both of our lists as it was one of the lesser publicised chameleons in literature and online. So I made a concerted effort to add my images to the google ranking of course! From Blackburn Village, Kwa-Zulu Natal. August 2011. A smallish brown nondescript chameleon averaging not more than 11cm. These chameleons were the first dwarf chameleons I’d ever seen. Early on in my childhood I would always remember seeing them in the bottlebrush tree in the front garden at home or when the gardener would be busy in the garden he’d often call me to move them out of the way of the garden shears. Later one I would spend many hours in the vicinity of the Westville Prison near the Roosfontein Nature Reserve searching the grasslands and photographing these chameleon on a little compact digital camera before I owned a DSLR. As well as spending countless hours with friends Sam and Joe Phillips and the late Jan Serfontein in the old Landy exploring the sugarcane fields between Umhlanga and Ballito and finding new pockets of these chameleons to photograph. We would get to know these small populations well and often would fool newcomers to the trip how we could spot these chameleons 200m out on a thin grass stem – where as we knew a particular specimen would be there. At the moment there is a small group in the reed around the pond I have at home and it’s amazing how habituted they become and seldom seem to leave a rather small area they frequent. From Nklandla Forest Reserve, Kwa-Zulu Natal. September 2017. A medium sized chameleon typically not more than 14 cm. The Nkandla forest is some 180 km’s from Durban, yet this was the last species I had to find and photograph in South Africa. Leaving the hardest to find till last I guess? Not quite – some of the others have been much further away and far more challenging to find. Finally I had the time and opportunity to explore this forest, while Theo Busschau was busy conducting his field work on some of the KwaZulu Natal Nature Reserves. We were out in the field anyway and decided to make a turn past Nklanda forest to try find these chameleons. We arrived whilst it was still light and a common theme with these trips had to kill time so I made some tea and some food on my gas stove and waited for it to get dark. It was cold and damp inside the densely packed forest – we searched for hours up and down the roadways and fringes of the forest with no luck! We moved out of the forest towards the eco-tone of the forest and searched this for another few hours finally we had spotted a juvenile relatively high up on a dead tree. I made a plan to get the animal down and as luck would have it the chameleon dropped to the ground and was nowhere to be seen! I was less than impressed, we called it a night and returned to Mtunzini where we were staying for the night. We returned again the following night to try out luck and failed again! It had been about 6 months until I was able to get the opportunity to photograph the animals we had found the previous trip. Well worth the wait for the final species of the quest, even though they are not the more unique or distinctive looking species. From Ngome State Forest Reserve, Kwa-Zulu Natal. April 2017. A medium to large sized chameleon averaging 15cm. The most recently described Bradypodion having only been formally described in 2009. This chameleon is known only from a single patch of forest in the Ngome Forest State Reserve, which is about 45mins from Vryheid – basically in the middle of nowhere. Having known about this species and the habitat for some time but trying to get around the logistics of getting to the forest and getting access was a different story. I went through to Vryheid early one Saturday morning to meet a friend Rian who stays in Vryheid, which after that night chameleon mission would stay over at his place. When we eventually got to the forest as timing would have it, it was still light so this allowed me to get a general idea of where to look for these chameleons. The forest is dense and a few openings at a surprising well kept campsite complete with abulsations and a donkey boiler. The forest floor was teeming with Bush Squeakers which at times become difficult to avoid. I searched for about an hour and a half before I found the first adult female about 4m up a massive tree – a job for the chameleon pole. I had purchased a telescopic pole with a cup on the end of it to assist getting chameleons down from out of reach places and it works like a charm. On the walk back to our site I found another three individuals including the exquisite male pictured above, by now it was 11pm heavy mist and frigid temperatures we called it a night. Another big tick for my Kwa-Zulu Natal Bradypodion list! From Britania Bay, Western Cape. February 2017. One of the larger chameleons with it’s stocky appearance averaging around 16cm. Now this was one of the most frustrating chameleons on my list for the longest time. Having been in the correct area and habitat numerous times in the last three years but never at night so chances of seeing one crossing the road or in foliage is slim. Skye and I were fortunate enough to spend some time in the Cederberg and after that were graciously offered accommodation in Britannia Bay on the West Coast by Facebook friends Jan and Hanile Voster. Hanile loves chameleons and would often see them in her garden on the west coast, after hearing I was looking to photograph some she gracious offered Skye and I free accommodation at their exquisite holiday home right on the beach. We were in Britannia Bay for just a night so it was imperative we found these chameleons we couldn’t come this far and fail! The wind was howling like only it can on the West Coast and the temperatures were freezing for a February evening, we walked the dunes and shrubs for about two hours with no luck before we had to return indoors to warm up and grab some tea. Skye doesn’t take well to the cold so she was a real trooper in coming out with me. We returned outside again and walked probably 500m where we had been previously and I spotted the uncanny small blob at the end of a branch! I had found a tiny neonate of around 3cm within quick succession found 8 others although no adults. I spent the best part of 2 hours photographing them in the howling wind and cold – but we had succeded! From Claremont, Western Cape. February 2017. I was staying in Claremont in Cape Town for a few days at a friends apartment back in 2009, I didn’t know too much about finding chameleons in the suburbs or how safe it was. Needless to say each night I’d walk the streets ad check all the hedgerows for chameleons – they should be here I thought? I saw a bottle brush tree hanging into the road from a garden, the tree was in full flower and I knew from my tree at home the chameleon loved these branches. I found a beautiful adult male at two juveniles all on the same tree, shortly after shining my torch into the homeowners property they we less than impressed and I made a swift exit with my chameleons in my pocket to photograph and release the following morning. I was told the streets around where I was looking are well known for prostitution so I guess things could have gone worse. From St Lucia, Kwa-Zulu Natal. December 2016.A small very slight built chameleon averaging on 12cm. Other than Bradypodion melanocephalum these Setaro’s dwarf chameleons are the ones i most frequently see and photograph and they are both locally abundant and in area’s I often spend a fair amount of time. My first trip to St Lucia must have been back in 2006 or 2007 on a herp trip with a few friends – they were mostly interested in snakes so no one knew much about the chameleons. I spend some time walking the exterior fence lines in the edge of the forests f the accomodation we were staying at – mistake. Little did I know the free roaming hippos also favour this clearing along the fence line and below low I ran into a pair feeding on the grass. I tried again the next night whilst we were out driving and spotted one on the edge of the forest near the Ski-Boat club in St Lucia, it was a few meters up so i stood on the roof of the car to get it down – success. I was surprised how different morphologically these chameleon were to the Kwazulu Dwarf chameleons I was used to seeing. Setaro’s have a much slender body and an elongated head and caspe not to mention some bright red skin in between the gulars. Without fail now 10 years on or so I don’t visit St Lucia without seeing these chameleons- although common they remain one my of favourite species. From Lady Slipper, Port Elizabeth. August 2016.A small and slender chameleon typically around 11cm in length. Another of of the most obscure chameleons that I had little hope of ever seeing actually. At the time I googled this species there was a single photo available online of it – later the same image just flipped horizontally on wikipedia. From what I knew these chameleons were known from a single mountain range on the steep slopes of Lady Slipper mountain just outside of Port Elizabeth. Now PE is a good 9/10 hours drive from where I am and this could be a challenge. I got in touch again with Luke Kemp who had joined me in Morgan Bay looking for Kentani Dwarf Chameleon which we had great success with. Luke is one of the few people that is as crazy about chameleons as I am and one of the best guys I know when it comes to locating them hands down. He was game and I would join him in Grahamstown before we made it down to PE. Before we could get to PE we needed to arrange how we were going to get access to the mountain. Upon further investigation i got in touch with local Mark Marshal who is heavily involved in reptile and conservation in the city of PE. He arranged keye access and agreed to take Luke and I up the mountain in the howling wind for the evening to hopefully connect with this species. After two hours of fading through chest height fynbos we had come up empty handed – feeling as defeated as one could be after travelling close to 12 hours and two days to see this chameleon and we were about to blank. Fortunately on the way back to our vehicle Luke managed to spot a single male clinging onto a piece of grass – we almost dipped! We got some photos (with difficulty) these chameleons tend to just drop to the floor as soon as you touch them from their original sleeping positions! We headed back down the mountain another Eastern Cape BIG tick! From Nottingham Road, Kwa Zulu Natal. May 2014. A large chameleon often reaching 17cm in length. At the time I photographed this specimen above (easily one of the most exquisite chameleons I’d ever found) I knew very little about finding chameleons and chameleons in general. It helps to have good friends who drag you along and teach you their ways. That happened to be Devon Massyn, Devon used to live just around the corner from my house before moving out to the States to work on his filming career with various wildlife show and documentaries. Devon is wild, he called me up late on a Thursday night he was back visiting in SA and was with his girlfriend at the time and she wanted to see these Natal Midlands Dwarf Chameleons. He says “wanna go find some chams?” Sure I say thinking we’re going to find the local ones – no Devon had other ideas! We drove some 200km’s into the Natal Midlands to find the high contrasting chameleons he knew were around a particular area – this specimen we found was about 6-7m up a pine tree sapling. How on earth were we going to get it down? We hacked a 3-meter sampling tree stripped it of all the branches except the last few leaves on the end. Devon thing showed me how if you wake the chameleons up they will slowly grab on the moving leaves and you can slowly lower them to the ground and bang you get your shots! Since then I’ve found over 100 of these chameleons from Nottingham road, Rosetta, Mooi River and Midlands Saddle and Trout. They’re an incredibly variable species and it’s difficult to give a name to each locality as they are so variable – easily another favourite species of mine. From Graskop, Mpumalanga. July 2016. A large chameleon often exceeding 15cm in length. While walking around town and checking out the local stores we stumbled into a general store, whilst Skye was buying something i got talking to the old grey haired man behind the counter. making conversation I asked if he had ever seen the little chameleons around, and to my surprise he says “yes I often see them walking across the roads on my way to work” WHAT? So after he closes the store we walk him Gustav around the block and he points to the floor and there is a very flat Wolkberg Dwarf Chameleon recessed into the tar. Not quite how I wanted to see my first specimen by that simply means they are here! We waited 45mins or so for it to get dark again it was freezing out and Skye had to endure my slight madness of trying to find these chameleons. On a wall of Ivy I found 5 rather quickly grabbed some photographs and we made the long drive back to our accommodation in Nelspruit a much longer and terrifying drive than I remember needless to say i was not the favorite person after that drive home. One of the larger chameleons often exceeding 15cm in length. Again Gary Nicolau and myself were on a trip across the Eastern Cape and Western Cape. We had made a stop over at Hogsback for a few nights to connect with some of the endemic species in the area knowing well that the area was home to large numbers of the Eastern Cape Dwarf Chameleons. A species neither of us had seen before. We spent a chilling windy evening in the Arboretum of Hogsback looking for these chameleons but dipped, on the way out we were looking for frogs amongst some reeds in a small water body and I spotted what I thought was a large chameleon. Only issue was it was about 10m into the middle of this mud pool. Taking a chance I ventured in sank down to the knees but fortunately it was a chameleon! A more detailed sweep of the area produced 10 or so mostly juvenile and a few adults. We left the Arboretum damp, cold muddy but with a sense the bad weather hadn’t got the better of us this time. Whilst several of these chameleon species below have been well documented over a number of years and are known to science none of these have yet to be formally described and given a species title. There are many area’s of uncertainty and several species complexes waiting to be fleshed out and given titles but until such time these animals are known simply by a “common” or english name. From Kamberg Nature Reserve, Kwa-Zulu Natal. March 2015. A medium to larger chameleon growing to around 15cm in length, slighter smaller than the nearby Natal Midlands Dwarf Chameleon. I’ve always been captivated by these chameleons, they’re just so different looking in colour and seem to be fairly uniform in appearance when compared to some of the others. Most records i could dig up were from the slopes of Sani Pass and that is no easy feat to try and locate them especially when you don’t own a 4×4. I did a lot of research and got into contact with American chameleon expert Dr Chris Anderson. Chris has been in South Africa a few years prior working on Bradypodion and he has seen a few of these “emeralds” we got chatting and he gave me a good indication of where I may find some. Now What I learnt throughout these missions is don’t rely on others to make plans or what for someone else as people by nature can be terrible at decision making. I booked some accommodation at the Kamberg nature Reserve only some 180km’s from Durban. I drove up early on Saturday morning so I had just the day and one night to try and find these chameleons the pressure was on. Upon arrival unpacked the car and made my way down to the dams and rivers that feed into it. It was around 11:45am walking along the meandering river when I stopped – looked back and again and I saw a beautiful adult turquoise green and yellow “emerald” chameleon in broad daylight on the reeds in front of me. Ecstatic! To add to my excitement there was another may not even 2 m away on the same batch of reeds hows that for luck! After shooting some photos I returned them to the reed back and made my way at night to search for more. Despite a good few hours of looking I was only able to locate another single female with a rather truncated tail. Upon a few other visits again in June with Skye we were snowed in at Kamberg Nature Reserve for 3 days. No electricity and around 80cm of snow how these chameleons survive in these temperature ranges is something else. From Grootvaderbos Forest, Western Cape. July 2018. Another large dwarf chameleon reaching around 18cm. There is a fair amount of speculation around these chameleons. At the time of the Chameleons of Southern Africa was published in 2007, the “grootvaderbosch” chameleons were known to be common the the Grootvaderbosch forest with increasing reports of several fo these chameleons popping up in the small town of Swellendam which is about 40km away but also quite possible to be connected to the greater forest. Morphologically these chameleons look similar to the Knysna Dwarf Chameleons but genetically they are distinct from one another, although this difference could be from becoming isolated from one another over time. From Montague Pass, Western Cape. January 2011. I think it’s safe to say this animal has had me uncertain to its identity for years. Initially I had no second guessed it and had it down as Bradypodion gutturale and comfortable so. i was chatting to Lynn Raw about it and he had a look and mentioned it looked nothing like the gutturale he knew of and possibly the ex “Bradypodion karroicum” which was long since synonised into Bradypodion gutturale some years prior. These chameleon were small no more than 12cm TL with greatly reduced gular lobes, crests and casque. Friend Samuel Phillips and I came across these chameleons whilst herping on the old Montague pass that leads from George through to Oudtshoorn. As typical with just about every time I’ve been down to George it had been raining for days and now was quite cool and misty. Not ideal weather to drive the bad dirt roads on this narrow pass in the dark – but we were on a mission. After finding a few other reptiles including some Ghost Frogs which was a real hi-light. Sam spotted a specimen hanging off the side of the slope on some restio grass covered in dew droplets. We snapped a few photos before the rain became too much – I lost one of my external flashes due to the rain but got the photo so that was the main thing! Upon two other trips to the pass I was unable to locate more of these chameleons although in 2017 Luke Kemp got a single specimen not far from where we saw this original specimen. From Bonamazi Game Reserve, Kwa-Zulu Natal. February 2017. The largest chameleon in Southern African obtaining a total length of close to 35cm. As common as these chameleons are they’re always great to find. I’ve seen hundreds of these over the years typically juveniles in the long grass along the roadside or the occasional large adult trying to cross the road and avoid becoming one with the tar. It’s difficult for me to try and recall the very first specimen I found or one that stood out along the way for the purpose of this guide. Needless to say the image above encapsulates the power, size and poise these animals have. From Swakopmund Dunes, Namibia. November 2016. One of the largest chameleons in Southern African reaching 25 cm. It had literally been a dream of mine to see one of these Namaqua Chameleons in the wild. I’d grown up seeing them on television and they had always been an icon of the Namib – I couldn’t go to Namibia without seeing one it just wasn’t an option! Whilst Skye and I were doping some exploring in the dunes just outside of Swakopmund we were told they had become quite scarce in the area as tourist often pick them up or the many tour operators in the area shift them around to suit their routes and so on. We’d now been in the dunes for the most part of the day, the sun was baking and the sand temperatures must have been exceeding 50 degrees easily. We arrived to a small gravel plain with large dunes on either side with a few small dollar bushes scattered on the plain. Mapped out distances and routes of the entire project. A basic representation of the chameleon species I found across Southern Africa. 38 402 km air & road travel. Looking back onto the last few years on doing trips on my own and friends there’s a few that need mention. When I look back at it all it seems rather crazy, what was the actual point or reason behind it all? To see a group of animals not many people had seen? To bring attention to a group of animals which is often overlooked or maybe it’s just to have something to keep me going between work and other life events. I could never have achieved any of this without the support and companionship of old and new friends. First and foremost I’m sure I would have given up at some point if it wasn’t for Skye, without her unwavering support over the last 2 and half years I couldn’t have got through the ups and downs and countless lonely hours on the road without it. Her patience during that time was something else even when being pushed beyond the normal limits of being out in the freezing cold, long dark drives at night but exploring these parts of Southern Africa I wouldn;t have wanted to do it with anyone else. Samuel Phillips, Rian Stander, Christopher Caine, Luke Kemp, Theo Busschau, Gary Nicolau, Gerrie Heynes, Courtney Hundermark, Rian Viljoen, Dave Maguire and Andries Cilliers I may have forgotten a few apologies in advance! A selection of some of the chameleons in habitat (on my finger) – missed out on a few along the way. A collection dwarf chameleons across South Africa. Thanks for reading if you’ve gotten this far! This entry was posted in Adventure, Africa, Bradypodion, Cape Town, Chameleon, Desert, Durban, Eastern Cape, Field Trips, Herpetology, Karoo, Kwa Zulu Natal, Lizards, Mpumalanga, Namibia, Photography, Reptiles, Road Life, South Africa, Southern Africa, Travel, Western Cape and tagged african chameleons, African lizards, Bradypodion, Bradypodions, Britannia Bay, canon, Canon DSLR, Cape Town, Chameleon, chameleons, chameleons of africa, Drakensberg, Durban, Eastern Cape, Eatern Cape, Free State, Herpetology, Hogsback, karoo, Kwa Zulu Natal, lizards, mpumalanga, namibia, nature, Photography, Port Elizabeth, reptile, reptiles, road trip, robertson, South Africa, Southern Africa, st helna bay, Transkei, travel, Tyrone Ping, Umhlanga Rocks, west coast, western cape, wild coast, Wildlife, Zululand. Absolutely fantastic! I love them too, especially the Cape Dwarf Chameleons. Thanks so much Doreen! They’re amazing species. Great to read and well done! If ever you are in Harare in January or February you must come on a Chameleon Safari. We have been doing them for 25+ years. Done to encourage people to leave a part of their gardens natural for the wildlife that would otherwise be dying to live. Thanks Rob, glad you enjoyed it. That’s fantastic do you have anywhere, where I can see some images? Very impressed with the commitment and dedication having done much the same sort of thing locally. Thank you Daphne, by means an easy journey but very much rewarding. 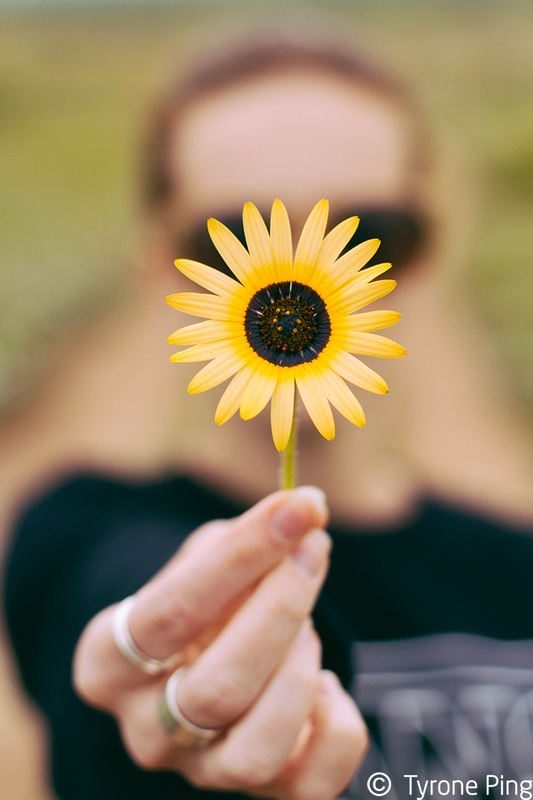 Thank you Jan – appreciate you taking a look at it. Thanks Bill, I do appreciate your critique and insight. Will make the necessary amendments. I loved reading this! What an incredible story. I have a resident chameleon living in my garden and have started bringing her inside on cold nights. I’m living in Sabie, Mpumalanga. I have looked through all your photo’s and don’t recognise mine in any of your pics. I would love it if you could help me with an ID? Glad I could help you with the ID of the Transvaal Dwarf Chameleon. Lovely animals! Thank you for such an informative and wonderful sight. May I use some of the photos as reference for a children’s book that I am writing? This is the most wonderful treasure trove to find. I live in Mtunzini and have seen the nMlalazi dwarf…will be looking out to find more! Thanks so very much for this page and all the information. 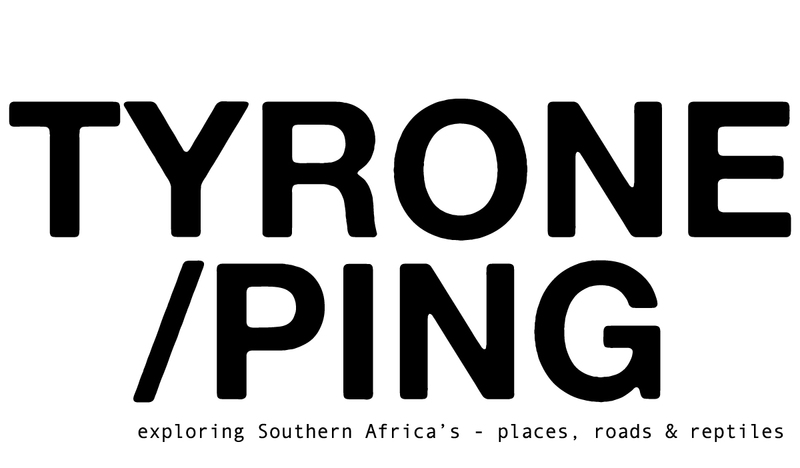 You’re welcome to drop me an email on contact@tyroneping.co.za with regards to image referencing.